The Secret Wish of Online Shoppers Revealed…! Online stores are always walking on a tightrope when interacting with their target buyers. However, if the recent Accenture Survey is to be believed then stores have something to be happy about. 3 in 4 shoppers prefer stores that utilize personal information of the shoppers to improve the shopping experience. 75% of the shoppers are more inclined to purchase from a store/ brand that use mobile apps. 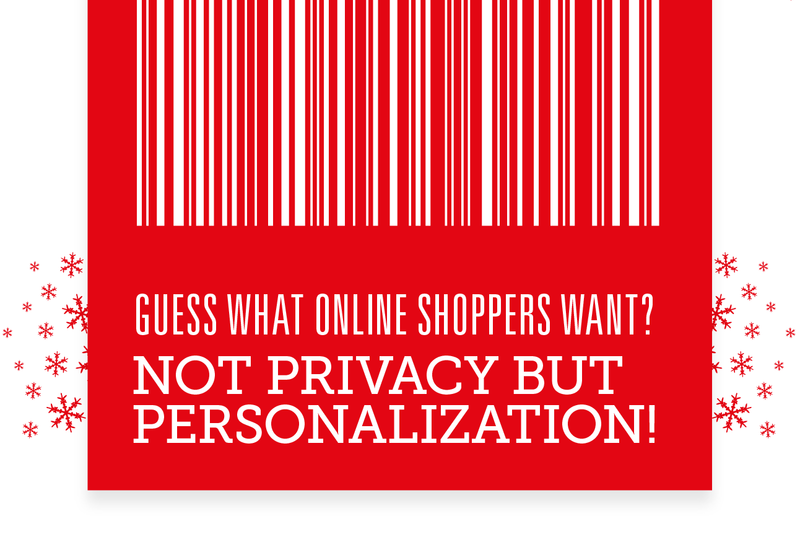 61% will trade personal information for relevant or customized offers. So here it is, straight from the users – the million dollar revelation that online stores seek – what do buyers want! Now how can online shoppers bank on this vital information and deliver the excellent experience that users expect? 1) Review all the touch points on your website and personalize them a bit. Touch points are the points of contact where you will be directly addressing the user. For example: auto-responder emails, checkout process, order confirmation emails, newsletter sign up box, etc. 2) Start Ad Remarketing – This Google Ad re-marketing technique is a great way to present your target audience/ consumers with personalized offers. Re-marketing works in a way that it allows you to re-market to users who have already visited your website, browsed it or perhaps left in the middle of a checkout process. You can re-market to these users and even offer them discounts and special offers along based on their preferences, interests and demographics. Ad re-marketing is perfect for directly addressing the users especially now we know that users wouldn’t mind if the offer is relevant and according to their preferences. 1) Get a Feedback form. A feedback form is a must for online stores, not only does it tell you what your customers are looking for on your store but also what would they would like to see. A great way to gather data for personalizing future offers and also for getting a direct heads up on you can improve user experience on your web store. Keep the feedback form very simple and easy to fill. 2) Make sure you have a mobile version of your website and are running mobile ads. If we go by the infographic and the modes that users prefer then smartphones and tablets are quite favorites of online shoppers. What has been revealed in the study is not something very far-fetched but quite inevitable. Why wouldn’t users want personalized experience when they are willingly leaving the brick-and-mortar stores and opting for online shopping? So now that we know, it’s time to do better! Let’s make this holiday season a great one for online shoppers.